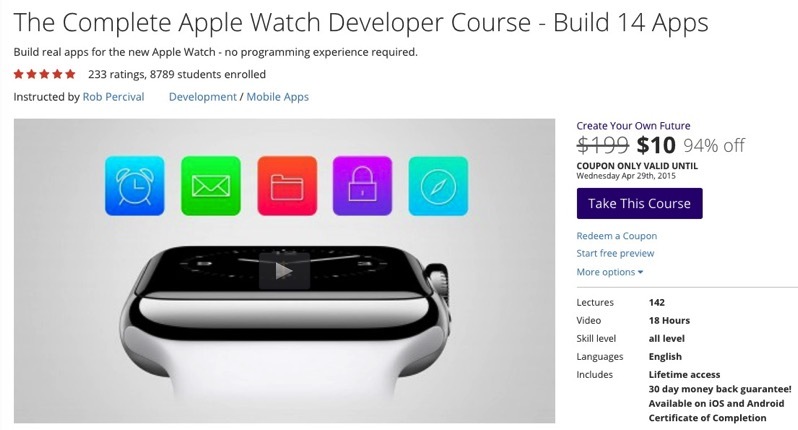 You’ll find lots of courses related to iOS 8 and Swift development too for just $10 each. The sale ends on April 29, 2015. Click here to jump on the Udemy $10 course sale while it’s still available.